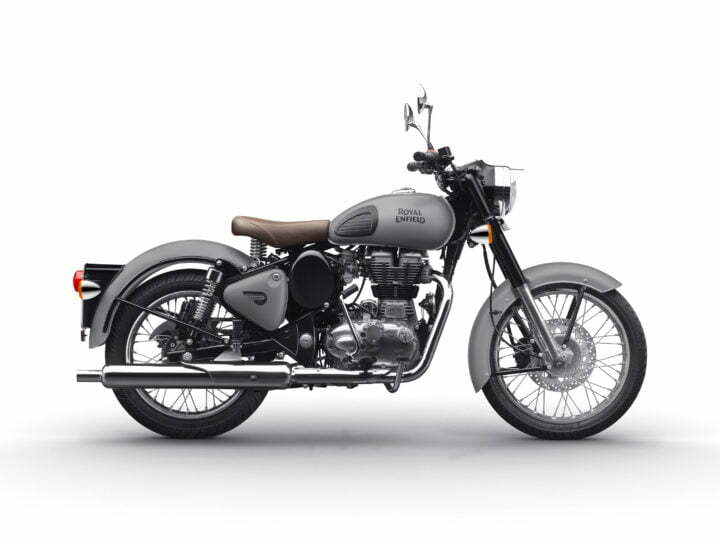 Royal Enfield, the famous, South India-based retro bike manufacturer, has come up with two new colour variants of the Classic range – Gunmetal Grey for the 350cc and Stealth Black for the 500cc engine variants. Both these new paint options are matt finish and enhance the visual appeal of the new bike. The new variants also come with disc brakes at both the front and rear wheels. While the new Royal Enfield Classic 350 Gunmetal Grey has gone on sale for Rs 1.59 lakh (ex-showroom), the Classic 500 Stealth Black has an ex-showroom price of Rs 2.05 lakh. While the new colours Royal Enfield Classic 350 Gunmetal Grey has an ex-showroom price of Rs 1.59 lakh (ex-showroom), the Classic 500 Stealth Black costs Rs 2.05 lakh (ex-showroom). 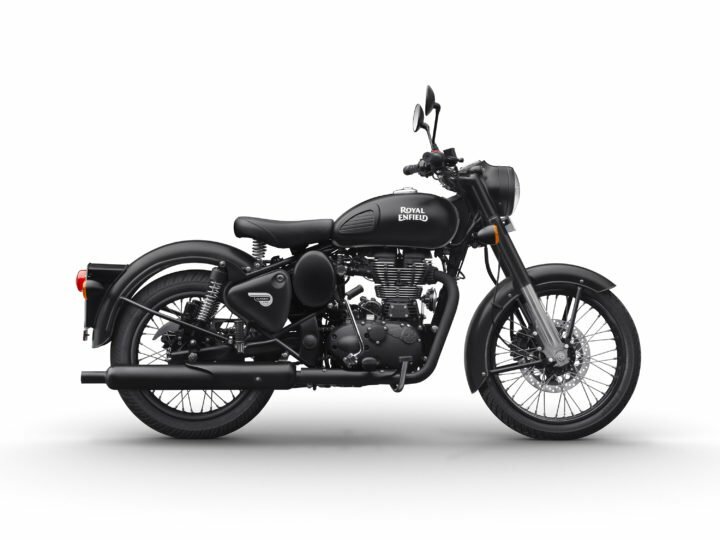 While the new colours Royal Enfield Classic 350 Gunmetal Grey has a 346cc, single-cylinder engine, the Classic 500 Stealth Black has a 499 cc Single cylinder motor. The 346cc engine outputs a maximum power of 19.8 BHP and a peak torque of 28 Nm. The 499cc single-cylinder has a maximum power of 27.2 BHP and a peak torque of 41.3 Nm. Both the engines come mated to 5-speed manual transmissions. The bikes get telescopic forks at front and twin shock absorbers at the rear. The bikes get disc brakes at both front and rear wheels. While the new colours Royal Enfield Classic 350 Gunmetal Grey offers a maximum mileage of 34 KMPL, the Classic 500 Stealth Black offers a maximum mileage of 30 KMPL. Stay tuned for more on the New Colours Royal Enfield Classic 350 and 500.